A prime minister of India has launched the PM Aawas Yojana : – One of the primary needs of any human being is a house. A house is a security that allows every individual to flourish under a sense of security, knowing that at the end of day’s hard work, there is a place where he or she can relax his or her mind a body and prep up for the struggle that waits for him or her the very next day. A house is where new dreams are born and are nurtured, thus making it one of the most basic needs for survival. From dens to huts to today’s multi-storied building – all are screaming testimony of what really a house means. The Government of India took a major step towards ensuring that people can get a house within their financial capability. 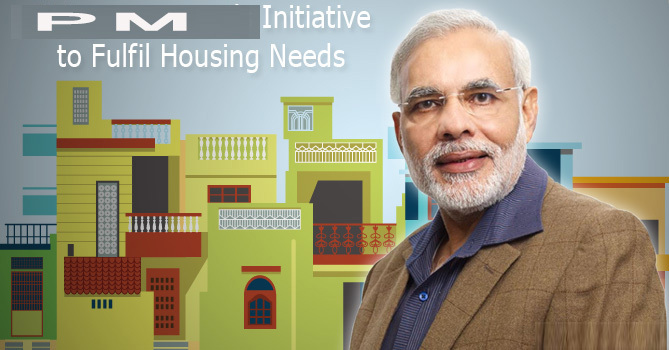 Prime Minister Narendra Modi launched a nationwide scheme known as Pradhan Mantri Awas Yojana. Previously known as Housing for All scheme, this Yojana comes with a bold vision of providing affordable housing solutions for all Indian citizens.